Looking at the brown body half submerged before me. Or the skin of a well-cooked chicken. While I felt terrified to be near it. Was of swamp, fish and now death. Until the river sand burned my feet and I needed to stand in the cool of the water. The strong current, the smooth stones under my feet made me feel so good. The cow must have come from a farm nearby, or perhaps a farmer had dumped it. None the less I was frozen, knee deep and fascinated. Her yells, high and forceful. My parents paid her to take care of me. I wanted her confronted with this death and this life. She would let me watch her dry her hair after the shower. That soft brown blown hair that danced like fires on the sun. Asking me if I were to swim. She had shown me pictures of her boyfriend. His confident look, challenging the camera. Pushed along the ground as a boot would do to a banana. And pondered the mystery of this death. ordered a cup of tea and some toast. only I am a little fatter. and he took her to the city. and he would beat her at least once a week. I’m glad the beatings have stopped. looking past me out the window. but inside the café it seemed like a country town. leaving me with her memory. This morning I woke up pretty early although the sun was all ready up and I looked across to my dog who has his own smaller bed and he looked back at me with that wonderful excitement dogs always have when they see you for the first time in the morning. Only today things were a little different because I could tell he was sad. What was it? I watched him for a while and I think I worked it out, I think he is missing his mother. He was a stray I found on the street and it has been a long time since he saw his mother and so this is probably the cause of his sadness. He was Okay by about 2pm, he sort of got over it but now its about 7pm and he is really sleepy and looking a little sad again. I hope tomorrow he’ll be over it, he is pretty sensitive. Today I was walking by the road out front of my house and an echidna came out of the trees and started to cross the road. Of course I snapped into action and tried to save him but every time I tried to pick him up he sunk his claws into the ground and pointed his spikes at me. If you don’t know what an echidna is, look it up. They are beautiful creatures with wonderful personalities, they eat ants but are really determined to cross roads. They are like silly little sweethearts determined to cross busy roads. I saved him, but it took a lot of nudging him with my foot. Finally I’ve been applying for a lot of dream jobs and sending out my resume etc but it turns out I’ve been sending them all in the wrong file format and just about all the people have emailed me back to say ‘we can’t open your files so don’t even bother waiting for us to contact you’ etc. I’ve been chosen to write a play for a local arts company with a whole bunch of other writers. Usually I hate working with writers but this is a pretty good opportunity, so I agreed. I had a dream last night that all the other writers joined up against me and to get back at them I wrote a really disgusting pornographic play and everyone hated me even more. DONT FORGET MY BOOK THE BOMBER!!! I had been wishing for Simon Weston* to be dead for a long time. Since I was 15 years old. When he did die I was 22 and it seemed strange to me. We were the same age, he had given me a hard time in high school. I found out he was dead from the internet. He died in a car accident on a dirt road. He had crashed into a tree. I later heard, and it might have been a rumor, that he was drunk. He left behind a daughter who was maybe 2 years old and I thought, was it right all those when I was a teen to have wished him dead? He left school at 16, I never saw him again. But now he was dead and I was afraid it was because of my thoughts. I saw her again, this time she was running late for the bus and I asked the bus driver to wait for her. He waited and she climbed in the bus. I did not speak to her but I kept watching her. I am sure she knew I was watching her and it probably annoyed her. I used to work at McDonalds as a teenager. Some of the managers were sometimes really mean to me so one day I stole a bag of chocolate fudge and another time I stole a box of chocolate flakes. (for the sundaes) I don’t feel bad about it because the managers would give me such a hard time. I mean they really screamed at me and made fun of me. A guy did not stop at a crossing for me. I looked at him driving the car as he went past, he looked like a fat slob for hours later all I could think of was cutting his throat like the terrorists do. Later when I calmed down I thought, maybe he just didn’t see me, it was dark and there was a big car parked right near the crossing entrance. Still I had thought about running the blade across his fat neck. On the 24th of June, (only a few days away) my debut novel comes outs. 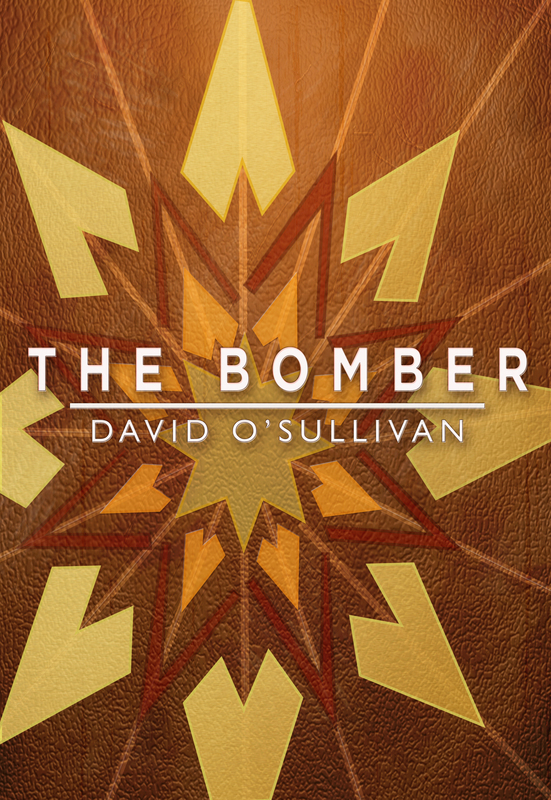 Get your copy of The Bomber as soon as you can. It is an incredible work of fiction. She was, I suppose is, my best friend. She left home last week. She moved to the city. Our last night together she made me bring over all my art books and she put on The Smiths and we listened to the music and we went through the art together. 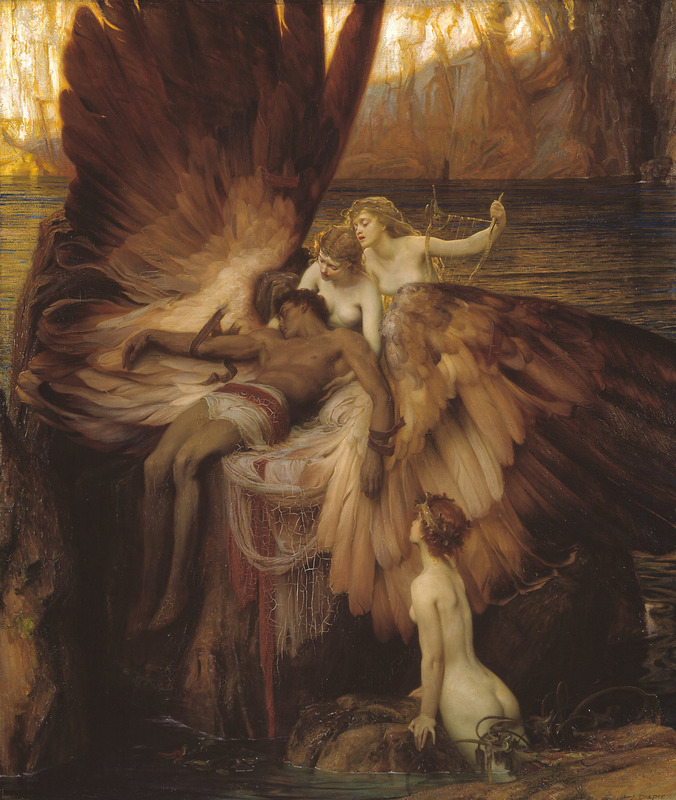 My favorite was a picture of Icarus (see pic) her favorite was a Van Gogh but I am not going to tell you which one because that is my special memory and I feel it would make it worth less if I shared it. (not worthless but of less worth). We were in her room and she told me all the things she would do in the city, she was so excited. She would be studying art and going to the theatre and working part time in a place that sends out a lot of internet orders and she would be in the office doing the paper work. She asked me if I would come and see her, I will of course, but I don’t know when. I said I would send her a copy of my novel when it comes out next week. (I haven’t any hard copies yet) and I told her I would come up and see King Lear at the theatre in December with her. She cried a little and put on an old Neil Young album called Harvest and we sat in the dark and spoke about life and literature. The next day I came early and helped her to the train station. We sat on the platform and waited and it was a grey dark day. The clouds came rushing over like a tempest being born. We sat side by side, looking out at the birds in the farms nearby. The track was long and cold, we spoke little but there was a peace over us. Her bag beside me, separating our legs. I looked down at her poor little knees, she wore a yellow dress and a denim jacket. The train came around the corner and we watched it roll in. It’s blue engine pulling quietly down the track. “It is.” she hugged me, and she was warm and soft. I felt so sad. “I have something for you,” I said. I gave her a copy of The Great Gatsby. “Thank you,” she said. I liked her, she never overdid anything. You could give her something or say something to her and she didn’t get all mushy or fake about it. When she climbed on I saw her only one more time out the window as she waved to me over the top of some old women. I waved back and watched the train pull away and disappear down the long straight line. She was gone and I was alone and the wind, as if knowing I was alone blew cold and the first drops of rain began to fall, I hurried home. She called me that night, her first night in the city. 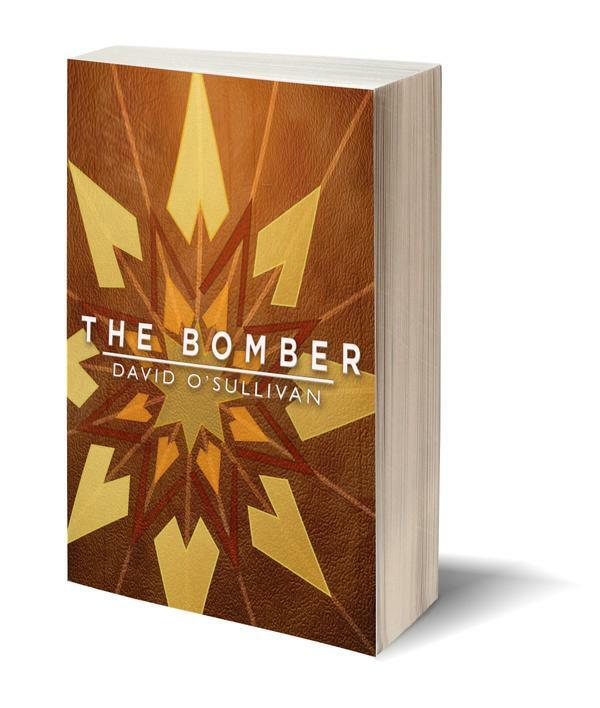 My debut novel The Bomber comes out 24th of June. Have a look at it in the links on my page. I can’t wait to send my friend a copy. I live in a small apartment that looks out over the back lane and tall brick walls. At night the streets lights glow a pale yellow and I can secretly watch the strange people who walk up and down the lane. I have no need to turn my television on, my next door neighbor, a fat lonely woman who hates company but can be very kind, has her television on all he time, turned up loud. Our walls are very thin so I hear what is happening in there. I hear the news, the movies, the dramas, I hear her rise from her chair and cross to her bathroom, I hear her urinate. Some nights are busy, some are quiet. Homeless people sleep in the rubbish and doorways below my window. I am glad to be on the high floor so they cannot come too near, but I can still see them. Sometimes, when the moon is pale in the city sky and no one moves about, cats dance on the road below, they sing and leap about. I drop food to them and they look up in thanks. At night it is just me, my neighbor’s noise, and God. We are all in the tiny room together. I leave the lights off and sit still and breath, witnessing the city wail like a lover, watching the brick walls and on the right morning, I wait for the garbage truck that comes grumbling and screaming at six am to empty the bins and remove the trash. I wonder what the homeless people do on that day? They must know thursday morning belongs to the garbage man. Some mornings after having sat with the darkness all night I will go to bed and sleep a few hours, but usually I like to walk down to the park, cross the bridge over the lake and visit the gardens they have built along the eastern edge. The gardens represent different places in the world. For England they have grown a Shakespearian garden and that is my favorite. 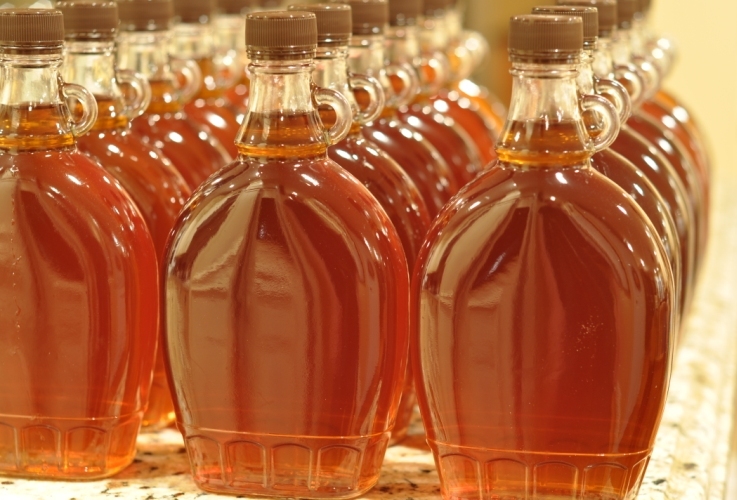 and I bought myself a bottle of Maple syrup. that it was as good as any of the other stuff surrounding it. it was like a little bottle of whiskey. The next morning I made myself some pancakes. along with the bottle of Syrup. I poured out a careful amount on each and began to eat. “Did you make me some?” she asked. and each mouthful became more and more sour. “You can have some of mine,” I called, but it was too late.